Photographs by Hans Jörg Michel, taken from the Salzburg Festival website. 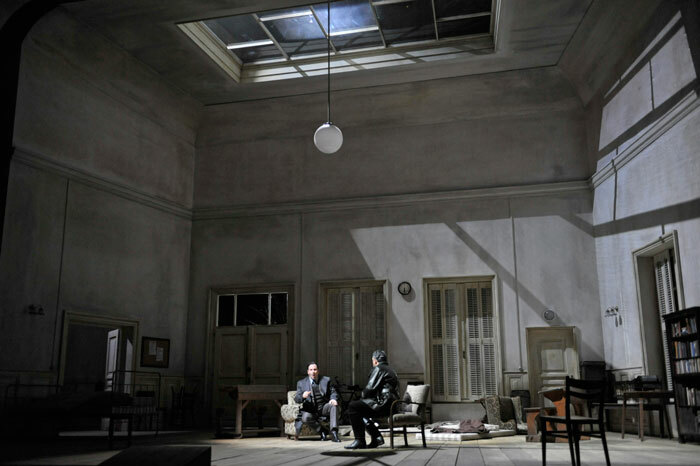 The photographs are from the Salzburg production rather than the Edinburgh Festival staging. 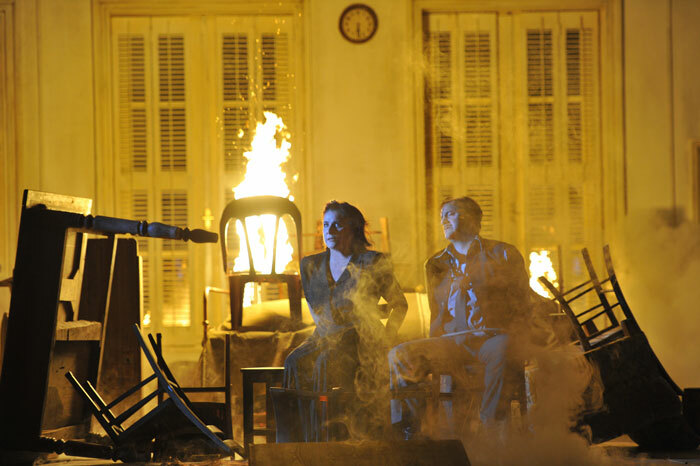 One of the highlights of this year’s Edinburgh Festival was the staging of Bellini’s Norma that provided a starring role for Cecilia Bartoli. Bartoli was consciously following the example of Maria Malibran, who sang the role in 1834, in offering a mezzo Norma partnered by a soprano Adalgisa, rather than the original and usual soprano-mezzo combination. 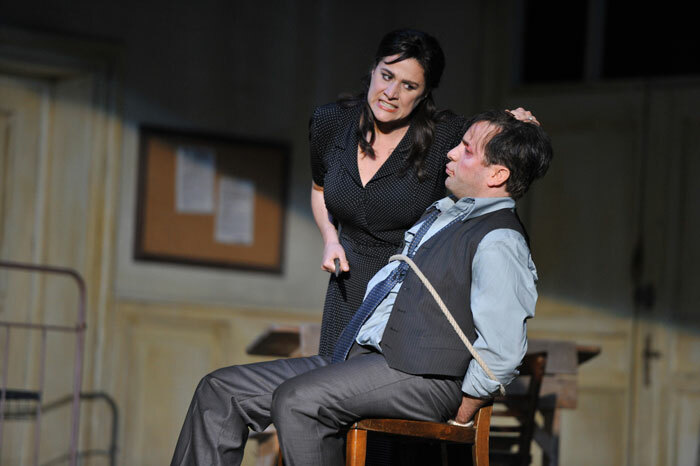 In fact, I felt that the mezzo-soprano was perhaps a more apposite combination by reinforcing the idea of an older Norma and a callow Adalgisa. 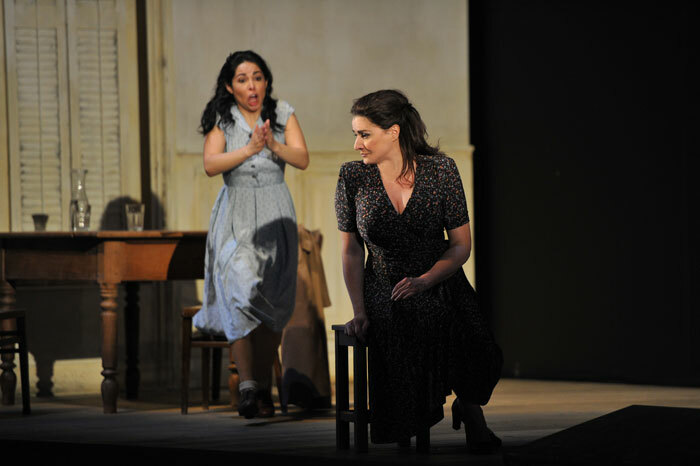 Knowing Bartoli only through her recordings, I wondered whether she could live up to those sorts of standards when having to act and sing live and given that her voice is reputed to be on the small side. However, she quickly dispelled any concerns with her beautiful, moving and unfailingly interesting and thoughtful singing that was always well audible up in the gods at the Edinburgh Festival Theatre. I suspect that some Bellini purists would have found that her occasionally mannered tempi and the abundance of decoration rather overloaded the flow of Bellini’s long melodies but it is difficult to believe that any misgivings could be harboured for long. For me her acting was a revelation offering a passionate and committed portrayal, "every word [etched] with fierce authority" (Neil Fisher, The Times, August 8, 2016). The supporting singers were excellent with Rebeca Olvera outstanding as a young and nervous Adalgisa while John Osborn made a good attempt at giving life to the rather colourless Pollione. The chorus looked a tad thin on the ground but gave a good account as, after a few early wobbles, did the orchestra, the period instrument I Barocchisti, under a substitute conductor, Gianluca Capuana. A new critical edition of the score by Maurizio Biondi and Riccardo Minasi was used. 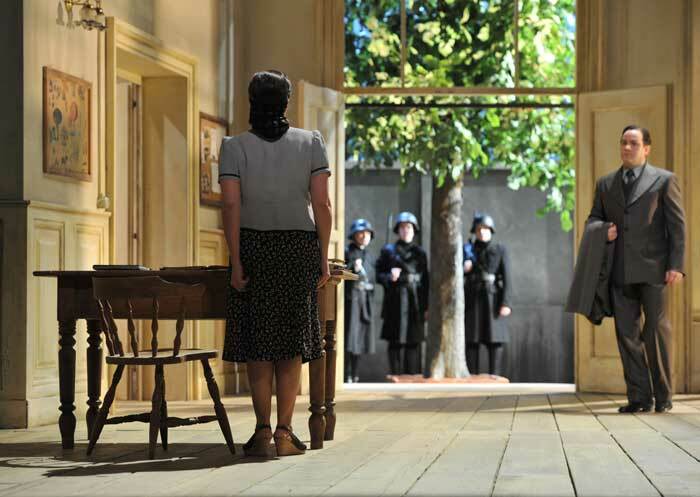 The production, directed by Moshe Leiser and Patrice Caurier, moved the period from Romans suppressing Gauls to Germans suppressing the French in World War 2 and the action from the forests to a schoolroom, with Norma originally portrayed as the headmistress and a passing reference to collaborateurs horizontales in the shaving of Norma’s hair before her execution. It worked inasmuch as it gave a more easily appreciated context and the single room set closely focused the action as well as providing a spectacular pyre when it was set alight at the end. However, that came at the expense of having to gloss over the text about forests and sacred groves and why Norma was so important to the community in the absence of any obvious religious role. Probably entirely unwittingly Bartoli followed Malibran in another respect. 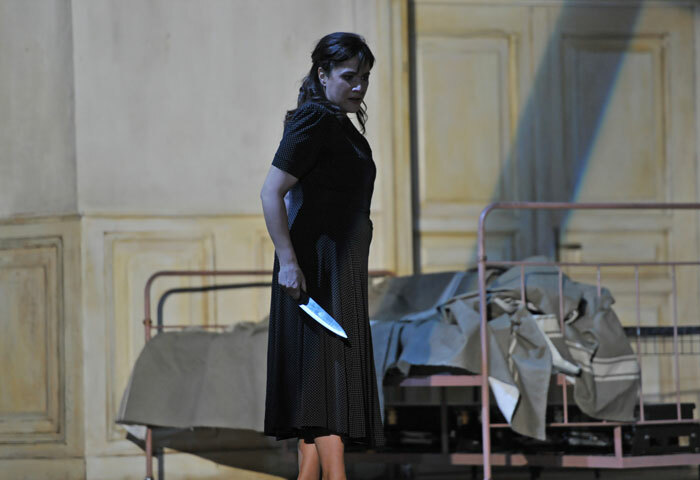 In the scene where Adalgisa confesses her love for Pollione, a carafe of water and a glass had been left prominently on a table and Bartoli poured and drank a glass perhaps aware that the long scene might leave her throat too dry. It reminded me that Malibran, apparently very tired before the final scene of Balfe’s The Maid of Artois, got Alfred Bunn, the Drury Lane manager, to leave a pint of porter, to which she was rather partial, behind a pile of sand on the stage and of which she partook before launching into an ecstatic final aria.